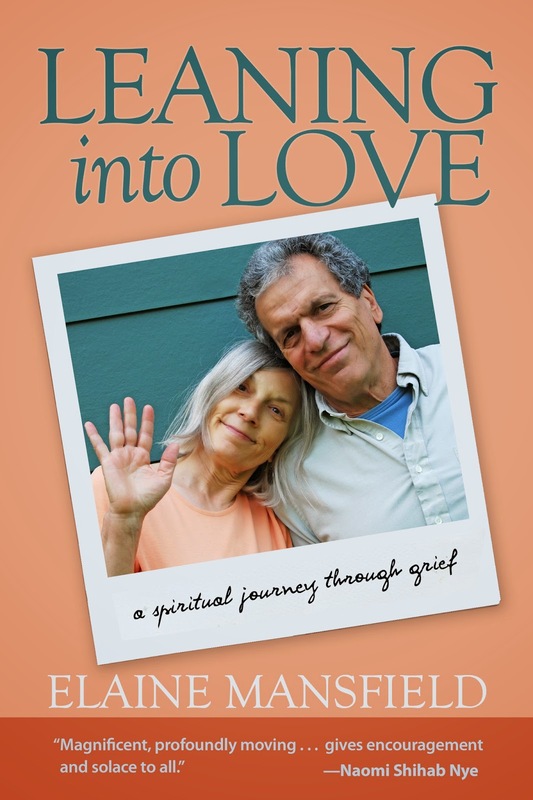 Elaine Mansfield is the author of the new book Leaning into Love: A Spiritual Journey through Grief, which looks at her life before and after the death of her husband. 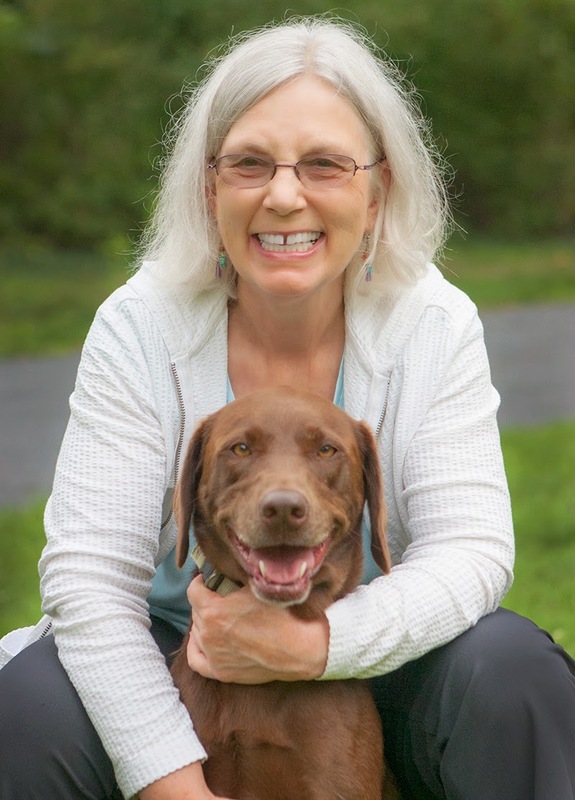 She is a nutrition, exercise, and women's health counselor, and a hospice volunteer. She lives in upstate New York. Q: Why did you decide to write Leaning into Love? A: When my husband Vic was diagnosed with a rare incurable lymphoma, I started a series of journals. For two years, I recorded every detail of Vic’s complex medical adventures, but I also dumped raw feelings on the pages. It always helped. Writing was a natural way to support myself and find a solid place to stand in my shifting world. Within months of Vic’s death, I joined a writing class and began creating stories from my experience. I wanted to remember the hug from a kind nurse, meetings with wise helpers, soup from friends, wild ambulance rides, Vic’s kindness, and everything that nourished or rattled me. Writing about the past was healing, but in time I wrote about creating a new life on my own. Within a few years, I had the bones of a book. Leaning into Love: A Spiritual Journey through Grief came from my need to find meaning and help others navigate grief. Q: How has your work as a hospice volunteer helped you deal with your own loss and grief? A: Less than a year after Vic’s death, I wept through an interview with the local Hospicare volunteer coordinator. During that hour, we touched each other’s hearts and she asked if I would help her with computer work. I felt at home with Hospice staff, because they saw mortality and grief as natural parts of life. Soon I began submitting articles to the Hospicare newsletter and website, and I still write for them. In time, I took volunteer and bereavement training and shared experiences with others in bereavement groups. Bereavement counselors asked if I would facilitate a peer group for women who had lost partners. I had led women’s health groups for many years, so it was natural to help others find ways to support themselves. Grieving is hard work and takes time. Many people feel abandoned or misunderstood. Being with others through writing and bereavement groups gave me purpose and a new path. Q: What impact has the Dalai Lama had on your life? A: We spent four days with the Dalai Lama in 1979 on his first visit to the United States and saw him many times after that in the United States, Canada, and India. Being around the Dalai Lama was always heart-opening and inspiring. In 2006, the Dalai Lama asked Vic to write a book about Buddhism and physics to help people understand they could be scientists and still have spiritual values. Vic had taught physics at Colgate University since 1973. He also taught a class called “Tibet,” one of the most popular classes in the university, and published widely in science and religion. 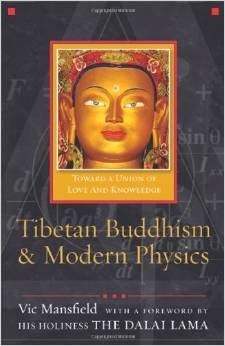 Vic finished his last book, Tibetan Buddhism and Modern Physics: Toward a Union of Love and Knowledge, while undergoing chemotherapy. The Dalai Lama wrote an introduction. Six weeks before his death, Vic taught with the Dalai Lama at Colgate and presented him with a copy of Tibetan Buddhism and Modern Science at a science and religion colloquium. Vic wept in gratitude as he thanked the Dalai Lama for many years of inspiration. The Dalai Lama held Vic in his arms like a mother holds a suffering child. The whole audience wept with Vic. After that hug, Vic no longer feared death. He kept the photo of the Dalai Lama’s embrace close to him, and it was next to his bed when he died. Q: At the end of your book, you write, “May we all learn to lean into love.” How has that idea changed your life? A: When I opened to grief, I felt surrounded and supported by love. Love came from community and friends, my sons, nature, and spiritual practice. Turning toward grief rather than trying to avoid it softened the harsh edge of loss. My heart connection with Vic still supported me even though his body left. Loss made me appreciate and love life all the more. This love-grief connection goes beyond personal loss. If we love the earth, for example, we grieve for the devastation around us and want to help. A: My primary focus is supporting my just published book by submitting articles and creating new workshops. I’ll give a TEDx talk called “Good Grief! What I Learned from Loss” in November and preparing for that takes a huge amount of time. A: During Vic’s illness and after his death, I practiced looking for beauty or joy or love at the hardest moments. A ray of sunlight in an oncologists’ waiting room when I feared bad news or a nurse offering warmed blankets in the chemotherapy room. I also turned to nature for beauty and comfort. My dogs and I walked many times each day in the first year after Vic’s death. Being in my fields and forest and watching the seasons change kept me in touch with the natural cycles of life and death. I knew the Earth was still there supporting me. Such a calming and embracing book review. Thank You Deborah Kalb for presenting it and thank you Elaine Mansfield for sharing your book and your vulnerability. Many will be served by both of your offerings. You're very welcome--thank you so much for commenting. Excellent interview. I'm a big fan of Elaine's blog, and I'm currently reading her book now. The last line in this interview is so hopeful: "I knew the Earth was still there supporting me." Thank you, Kathleen. Good luck with your book adventures. And the Earth is still there supporting me.